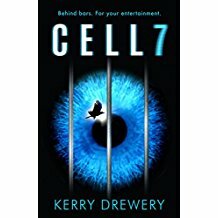 Kerry is the author of the CELL 7 trilogy, the first of which has been translated into more than a dozen languages, won Spellbinding Book of the Year 2017, HWS Book of the Year, was shortlisted for CrimeFest Best YA Crime and long-listed for Southern Schools Book Award. CILIP Carnegie Medal, awarded Highly Commended at the North East Teen Book Awards and shortlisted for the Hampshire Independent Schools Book Awards). 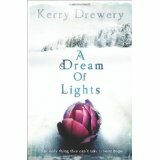 Kerry is very proud to be a writer in residence for First Story, at a girls’ school in Hull. As well as doing sensible writerly things she’s swum across the river Humber and completed an Ironman. She also a big fan of custard creams, cake, and cheese and onion crisps. Although not at the same time. Cell 7 (sequels Day 7 and Final 7): An adored celebrity has been killed. Sixteen-year-old Martha Honeydew was found holding a gun, standing over the body. The general public will decide whether Martha is innocent or guilty by viewing daily episodes of the hugely popular TV show Death is Justice, the only TV show that gives the power of life and death decisions – all for the price of a premium rate phone call. Martha has admitted to the crime. But is she guilty? Or is reality more complicated than the images we are shown on TV?